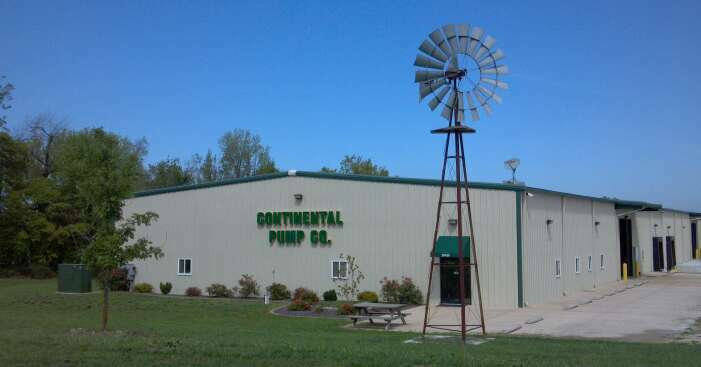 Continental Pump Company was established in late 1946 by George F. Heath Sr. in St. Louis, Mo., as his main avenue to manufacture the pumps that intrigued him. Mr. Heath had worked in the pump business for many years. With the arrangement of a handful of Manufacturers representatives throughout the country in the pump industry, they traded experience, became good friends and business partners. Then along came the success story of this company. George F. Heath Company a company established in 1952 to market Continental Pump Co in Helical Screw Pumps" initially, but subsequently and currently "Progressive Cavity Pumps". There were other pumps as well, such as Shallow Well Pumps, Submersible Pumps and the so-called Utility Pump line now known as the CP Models. 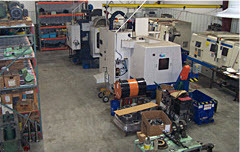 Continental made parts and pumps interchangeable with Moyno. "It was not just Pumps and Parts to be substituted, but the long knowledge of application that we have to pass on and share with the Industry that required the unique "Helical Screw Principal". Continental was not just offering a Pump, but more the solving the problems of moving liquids, slurries, pastes, sludges and waste materials that only can be effectively and economically handled by Progressing Cavity Pumps. When a pump can eliminate buckets, shovels, scoops, conveyors and back work and if it is properly designed, manufactured and applied it can fulfill a needed solution to hundreds of Industry's tough material handling problems. This is the reason why we have specialized in this particular pump. " Mr. Heath was quoted in saying. George Heath Jr. has been involved with Continental Pump Company since 1981. He has been in the manufacturing and the sales aspect of the company bringing his knowledge to these departments. In 2000 he was promoted as President of Continental Pump Company, having a strong goal to push the company to its next level in quality, manufacturing and customer service. We have since moved our facility to Warrenton, Mo (60 miles west of St Louis) in 2002, after being in the St Louis area since 1946. A new 10, 000 sq. ft. facility was constructed in 2008 with an additional 12,000 sq. ft. added in 2011. Since the passing of Mr. Heath in 2002 at the age of 94, his son George Jr. has continued the legacy that his father started over 60 years ago. Continental Pump Company started with 50 distributors with initial stock of CP Model Pumps with the arrangement to sell the CL line without stocking them. Today we have grown our distributor family worldwide. We pride ourselves in our manufacturing and delivery of our pumps and parts to our distributors, and Original Equipment Manufacturers in addition to Contractors, Utility and Municipal Plants. We offer a complete line of Progressing Cavity Pumps for the commercial waste water and industrial markets. Our goal is to offer quality products and service at a competitive price. Our success is supported by a long standing relationship to quality, a service oriented sales staff, a facility housing inventory, and a commitment to helping our valued customers and distributors. We strive to keep you informed by providing all the materials and knowledge we have to offer through our staff and engineers.